All modern facility is provided in club house. 200 mtr joggers park on tower’s terrace. 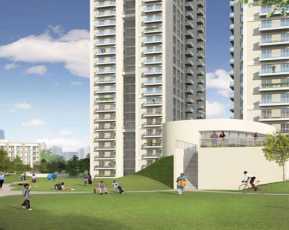 Raheja Vanya: Modern homes for a healthy and attractive lifestyle! 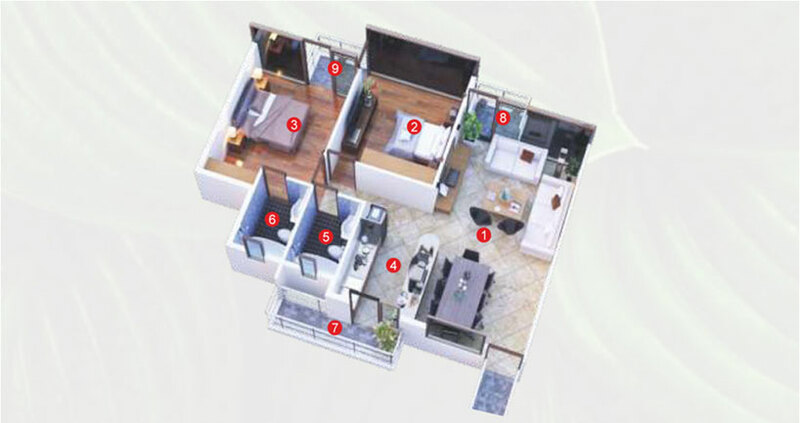 Raheja Vanya is a pristine residential launch by the prestigious Raheja Developers, coming up at Sector 99A, Gurgaon. The under construction project will offer a perfect blend of international standards, structural dynamism and diversified thinking and is planned and developed by the world famous architect and design powerhouse - Aedas Singapore and financed by L & T Infrastructure Finance Company Ltd. Sprawling across huge acres of expansive greens, Property in Sector 99A Gurgaon offers a composite hub of 2, 3, 4, and 5 BHK lavishly designed apartments of different dimensions that match and facilitate the needs of all its residents. The homes are thoughtfully planned and developed taking care of minutest of details and offer you a truly comfortable and grand living experience. The interiors are also taken care of and let you live an easy and peaceful life amidst latest and modern technologies like modular kitchen, modern security systems, rooms equipped with high-quality fittings and fixtures, AC provisions and well-placed and large sized balconies that offer lovely views of the surroundings. The upcoming habitation flaunts various state-of-art amenities like modern club house, hi-tech gymnasium, large size swimming pool, toddlers’ play area, sports facility, multipurpose hall, restaurant, meditation centre, video security, rain water harvesting, sewerage treatment plant and huge acres of open landscapes. The property also has various eco-friendly features like planned rooftop solar power generator, and provision for using recycled water for landscapes and flushing purposes. The forthcoming premium residential project is comfortably placed at sector 99 Gurgaon on Dwarka Expressway, and enjoys proximity to everything important like retail stores, schools, restaurants, hospitals, shopping malls, etc. Well-linked to the prime locations of the city, it offers seamless and easy commuting in all directions. 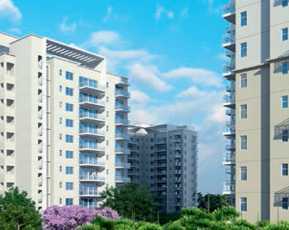 Raheja Vanya price structure shall be updated soon on request. The heartwarming and pleasing homes will be backed by easy and possession linked payment plans. Thus, the high-end residential apartments make finest living spaces where one can relax and de-stress after a tiring day at work and spend some quality times with your loved ones, creating magical moments to be cherished for lifetime. It is an excellent investment opportunity that should not be missed. Based on 17 recommendations Would you recommend this Property?